Warm brown sugar and butter pecan pralines paired with a Chantilly-based cream dip. A truly classic southern staple served up for the start of fall. 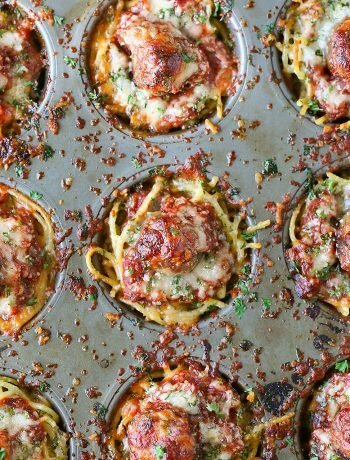 Serve with waffle cones, pretzels or graham crackers. 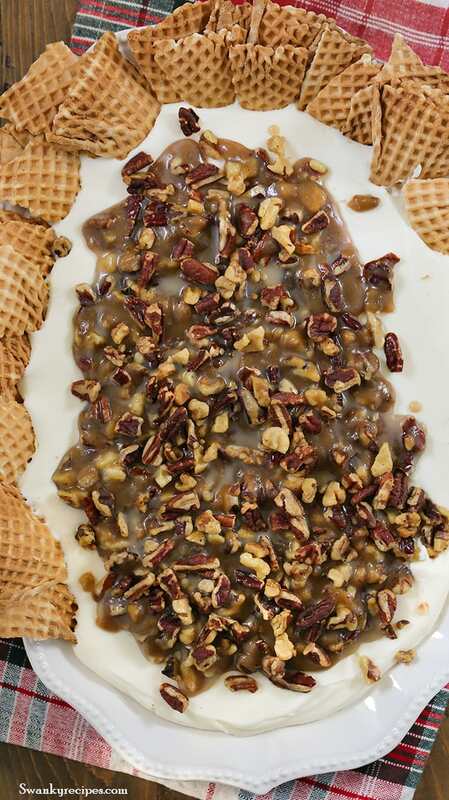 Few desserts are as superior as the iconic southern pecan praline. If you’ve ever been to the south–especially New Orleans, then you know that pralines are as celebrated as po-boys, Crawfish Étouffée, gumbo, jambalaya, and beignets. All week I’ve been popping into bakeries to try their chantilly cake. I’ve had a craving for the classic dessert and discovered a few things along the way. One, the Gentilly Cake was born here. It’s a play on Chantilly Cake but the frosting includes cream cheese and mascarpone cheese in addition to the traditional almond whipped cream topping. Y’all, this Chantilly -or should I say Gentilly- frosting variation is a must try! 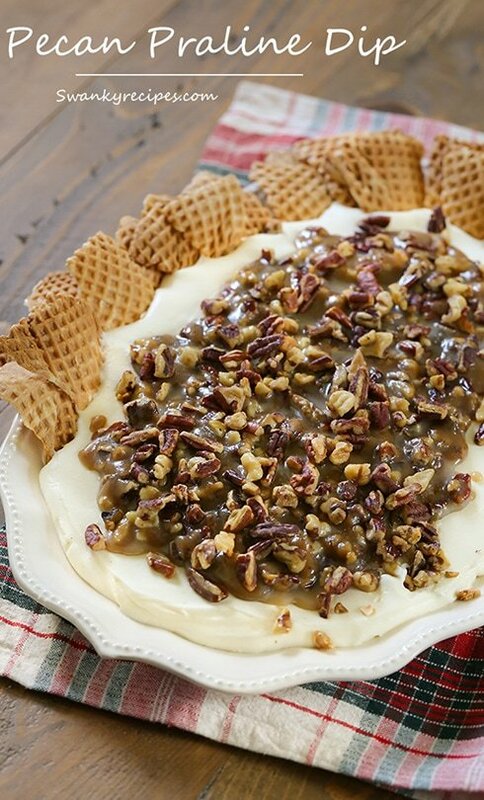 In fact, I’ve included it in this Pecan Praline Dip recipe! It’s no mistake that I’ve paired these iconic desserts in a two-in-one recipe. After getting inspired by the cake shops around town, I realized that this dip was meant to be paired with a praline topping! After all, you can’t visit a bakery without being enticed by the warm smell of brown sugar and butter coming from the kitchen. The dip is not as sweet as it sounds. It’s more cream based and features a generous amount of dairy with a hint of sweetness and a savory almond flavor. The addition of almond flavoring truly brings out this decadent whipped topping. You won’t be able to stop at just one scoop! This dessert can be served with broken up waffle cone bowls, Biscotti cookies, graham crackers or pretzels. What are your favorite southern recipes to make during autumn? To make the dip - In a large bowl, beat together mascarpone cheese and cream cheese until blended with a hand mixer or stand mixer. Beat in powdered sugar and extracts. Carefully pour in heavy whipping cream and beat until soft peaks form. About 2 minutes. Whip down the sides of the bowl, then beat until stiff peaks form, about 1 minute. Be careful not to overwhip (you don't want it to curdle into butter!) 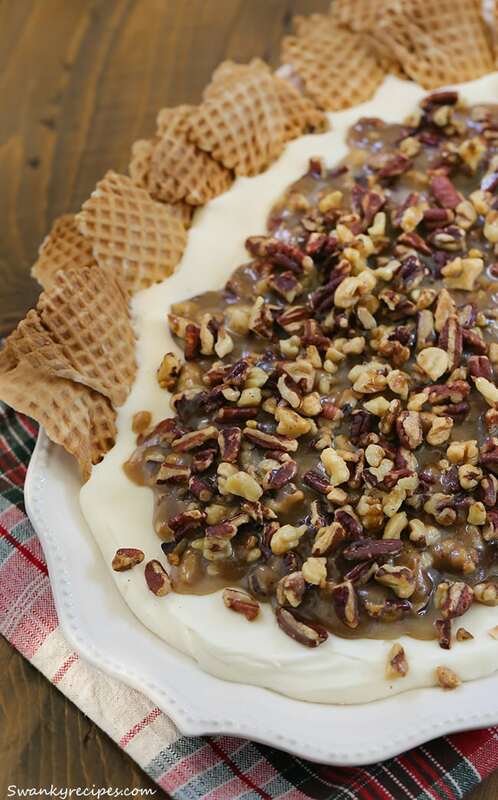 Spread onto a serving platter then place in the refrigerator while making the pecan topping. To make the pecan praline topping - Heat a medium saucepan over medium heat on the stove top. Melt butter and brown sugar. Continue to stir with a spatula, about 5 minutes. Add chopped pecans. Remove from heat and allow mixture to cool; about 10 minutes. Evenly spread over cooled cream topping. 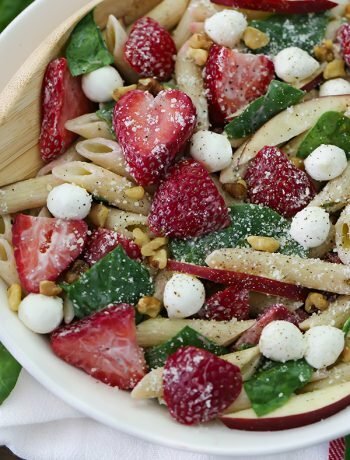 Serve with crushed up waffle cone bowls, shortbread cookies, pretzels or graham crackers. *Caramel extract may be used in place of almond extract if desired. **If making this dish ahead, go ahead and make the Chantilly cream topping. Pour into a serving platter and chill until ready to serve. Remove from refrigerator about 20 minutes before serving. I recommend making the pecan praline topping the day of use (if making in advance). The pecan topping will harden once chilled. The topping can be made in advance then stored separate and reheated in the microwave before pouring onto cream dip, if needed. I recommend making the pecan praline topping the day of use (if making in advance). The pecan topping will harden once chilled and so it's better to wait to add to serving platter. 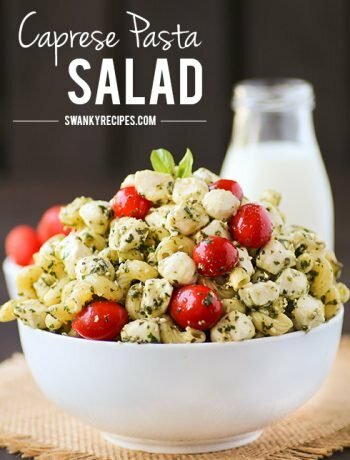 Alternatively, the topping can be made in advance then stored separate and reheated in the microwave before pouring onto cream dip, if needed.